Here is the solution, when the Epson printer not recognize the ink cartridges, fallow the next steps. 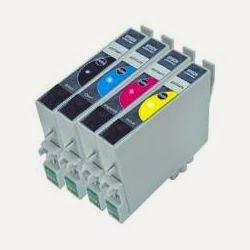 The Epson printers usually have no problems, since the cartridge system is different from other printers, these printers use separate cartridges allowing savings when use when a Epson printer does not recognize ink cartridges can be several reasons, the first is that it has connectors dirty cartridge or printer. The solution to this problem is to take the ink cartridges and clean them with napkin, soft paper or a cloth, to increase the effectiveness of cleaning is recommended moisten with a little alcohol the part we use to clean the connectors.Epson cartridges unlike other cartridges are only for recognizing chip that are connected to the printer, ink cartridges have other direct connectors on the connector along the printhead. The head of the printer Epson printers is independent of the ink cartridges with this it is recommended to clean the chip in the cartridge. Another reason may present the error that the printer does not recognize the cartridges is because we have taken the cartridges and put again not recognize, especially because they are not making proper contact with the printer, recommended to firmly cartridges epson printer to make the appropriate contact. 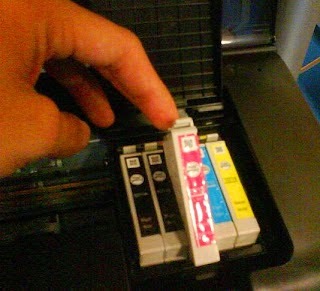 If the ink cartridge has been refilled is impossible for the printer to recognize the cartridge before reset it with an instrument reset or change the chip cartridge recognition. These ink cartridges have a chip which has the pages automatically, as we printed the printer processes all pages being printed and when the printer has printed a number of pages that cartridge is scheduled no matter who we fill the cartridge ink that will not recognized as having ink. If the ink cartridge is exhausted the printer will not recognize it. One possible solution, if it is an error caused by the printer and that we have the knowledge that still has ink, for example if we bought the ink cartridge in those days and is presenting the failure to recognize the cartridges is remove the ink cartridges from the printer "all cartridges", then we have to turn off the printer, the next step is to turn the printer without cartridges placed, then place the cartridges, how to place the ink cartridges one by one . First place the black cartridge into the printer, close the door giving access to the ink cartridges when the printer asks the other ink cartridges we placed one by one and continue the process until pampering. If your case is more complex than this can contact us by writing a comment on this publication.